Two University of Georgia Bulldog statues were " unleashed" in ceremonies Thursday in Downtown Tifton. In the photo above, William and Kelly Bowen unleash the Bowen family-sponsored "Farm Dawg" near the entrance to the Cato Knight Memorial Parking Complex on Main Street, along with UGA Tifton students. In the photo below, Heidi Prince Massey and Heather Prince Stripling, along with Prince Automotive representatives, unleash "Champ," sponsored by Prince, at the corner of First and Main Street. As the UGA Tifton campus begins its nine-month centennial celebration, UGA Bulldog statues will begin showing up around Tifton, similar to those found around Athens where UGA's main campus is located. The first local Dawg statue, "TUGA" -- for Tifton UGA -- appeared recently at the front of the Tifton campus. The fiberglass Dawgs are five feet long, three-and-a-half feet tall and three feet wide. Each sponsored Dawg has a customized paint job. The 15th Annual Omega Pepper Festival this weekend celebrates peppers -- and the community. The family-friendly event begins today (Friday) with barbecue and a gospel sing from 6-10 p.m. at Ponder Park with Happy Times Revival, Becky Hill and The Davises. On Saturday, there is a full day of festivities planned from 10 a.m.-10 p.m. There will be arts and crafts vendors, food and entertainment. Bands include the Danny Dawson Band, N.A.J. Band, Austin Neal and the Last Chance Band. Saturday's parade starts at 10:30, and Ponder Park entertainment starts at noon. This year's event features an "Out of Africa" Zoo to You by Wild Life Wonders with two shows during which you can interact and learn more about the animals from Africa. Southeastern Wildlife Encounters also will have a show at 2:30 p.m.
On Monday, Sept. 10, the city's contractor will begin work on the water main replacement in Tifton's Pebblebrook subdivision. On July 16, Tifton City Council awarded a $511,526 contract to Doyle Hancock & Sons Construction, the low bidder. The subdivision has been plagued with water issues for awhile. The contractor will be working 7 a.m.- 6 p.m. with possible extended hours if needed, including weekends. The contractor may have to reroute and detour traffic in the subdivision throughout the course of the project, the city said. The contractor may be laying construction materials down on the right of way before installation and also may have equipment staged along the right of way. Residents can expect digging, trenching and boring along rights of way as the water main and meter services are installed. Service will be maintained to all existing properties and existing fire hydrants until the changeover to the new water main, the city said. There may be a temporary loss of service for the changeover, but there will be notice beforehand and the down time is expected to be minimal. Each affected residence should receive a door hanger by today, Friday, Sept. 7, with details about the project's start on Monday. If residents experience issues once work begins or have questions about the Pebblebrook project, they may contact the City Public Works Department at 229-391-3944. Tiftarea Academy has announced the selection of its 2018 Homecoming Court. Pictured in the front row, from left, are: Senior Shelby Sutton, daughter of Keith and Cindy Sutton of Sumner; senior Mary Grace White, daughter of John and Amy White of Tifton; senior Abby Carswell, daughter of Stewart and Cindy Carswell of Fitzgerald; and senior Anna Cook, daughter of Drs. Hank and Leah Cook of Fitzgerald. Back Row, from left: Eighth-grader Ali Strenth, daughter of Dwayne and Amy Strenth of Sylvester; freshman Laura Ann Jones, daughter of Reid and Tiffany Jones of Chula; and junior Adylein Hunt, daughter of Dallas and Angie Hunt of Tifton. Not Pictured, sophomore representative Carrie Engram, daughter of Marc and Charlotte Engram of Tifton. Tiftarea Academy will crown its 2018 Homecoming Queen at the homecoming football game on Friday, Oct. 5 at 7 p.m. in Chula. Show-Only tickets are available until show time. A whimsical exhibition on Sept. 16 featuring the works of local artist Donna Falcone will splash the walls with vivid color at the Art Gallery at the Abraham Baldwin Agricultural College's Ga. Museum of Agriculture and Historic Village. Titled "From Azure to Zaffre," the exhibit opens with a 2 p.m. reception Sept. 16 and runs through Jan. 19. The opening reception is free and open to the community and will feature a demonstration and a brief lecture by Falcone, a question and answer session with exhibit curator Polly Huff, and gallery tours with the artist. "The exhibition will feature all 26 letters of the alphabet expressed in brilliant alcohol ink artwork in a variety of familiar and novel colors," Huff said. "Visitors will most assuredly learn new and interesting color words along the way." Huff said a pronunciation key will be displayed to help visitors pronounce colors like heliotrope, xanthic and zaffre. A hands-on corner will be available to the exhibit's young visitors. A workshop and demonstration for children will be hosted by the Gallery later this year. Following opening day Sept. 16, "From Azure to Zaffre" will be open from 9 a.m.-3 p.m. Tuesdays through Fridays, and 9 a.m.-4 p.m. Saturdays. Music from Ludwig van Beethoven all the way to a movie classic from 1961 will highlight the performance of the University of Georgia Symphony Orchestra on Sunday, Sept. 9, as part of the Abraham Baldwin Agricultural College ABAC Presents! Performing Arts Series. At a 3 p.m. Sunday performance at the Tift Theatre, the symphony will honor the 100th anniversary of Leonard Bernstein with "Symphonic Dances" from "West Side Story." The orchestra will also spotlight Beethoven's "Fifth Symphony." In between, the "Mother Goose Suite" pulls timeless childhood classics into the present day. The University of Georgia Tifton Campus recently recognized its Horticulture Department with a special breakfast as part of the nearly year-long celebration as the campus celebrates its centennial. Pictured are retirees, faculty, staff and student workers from the department on campus. 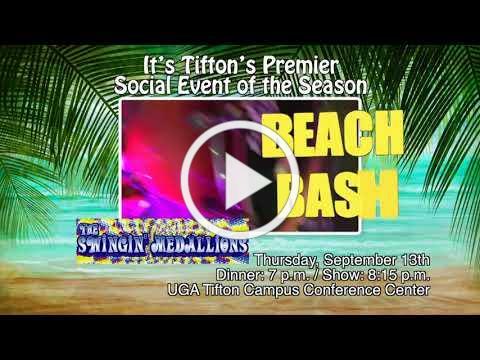 Each month UGA Tifton is recognizing a different campus department in the run up to the centennial finale celebration next May. The Georgia Chamber of Commerce is holding its second Rural Prosperity Summit on Oct. 3-4 at the University of Georgia Tifton Campus Conference Center. The two-day summit will offer attendees an opportunity to share ideas, make connections and discuss improving rural prosperity in Georgia. The agenda will include such topics as homegrown entrepreneurship, talent and leadership development and retention, healthcare and other critical areas. Speakers include policy leaders, senior governmental officials from Washington, D.C., and Atlanta, entrepreneurs and business owners, recognized academics, local economic development practitioners, and other key partners in rural communities. Representatives from rural areas in northern Florida and eastern Alabama also are invited. More than 350 leaders from the business sector, economic development offices, chambers of commerce and elected officials gathered last year to discuss rural communities and solutions for their continued success. Keep Tift Beautiful (KTB) has designated the property of Mayor Keith and Pattie Beasley of Ty Ty, above, as the Residential Beauty Spot of the Month. KTB also awarded the Commercial Beauty Spot of the Month award to The Suites at Cypress Pond in Tifton, pictured below. Kristy Daniels, left, with Tracie Grace, medical imaging director. Kristy Daniels was recently recognized with Tift Regional Health System's (TRHS) L.E.A.D.E.R. Award. Daniels serves as manager of Hospice of Tift Area, a TRHS service. She was nominated by hospice staff members for what was cited as her inspiring management style and dedication to quality, compassionate care. The award goes to a nominee each quarter who is at or above the department manager level and has at least one year of service in his or her current role.